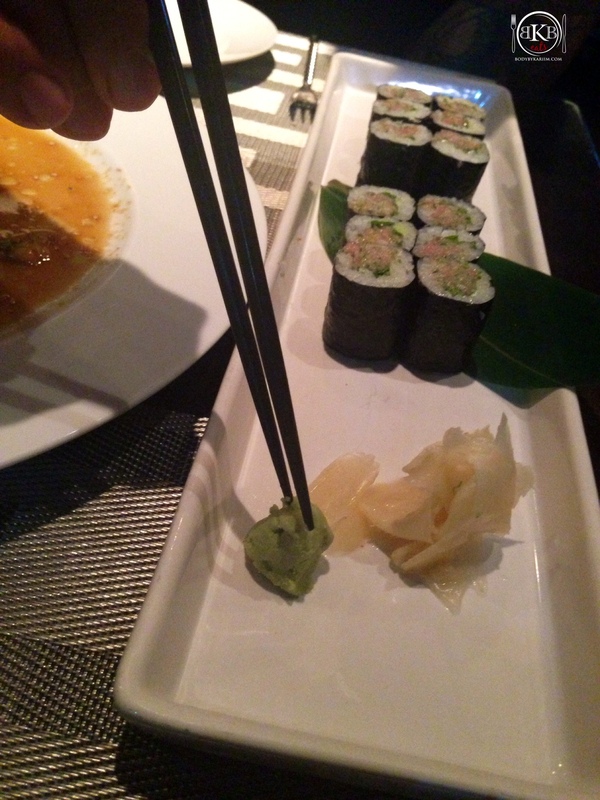 Chefs from the worlds most recognized Japanese restaurant – Nobu – had opened a location here in Atlanta, we knew at some point we had to try it out. Saturday night, we headed over to TOMO for a 9:00pm reservation. We were not disappointed!!! 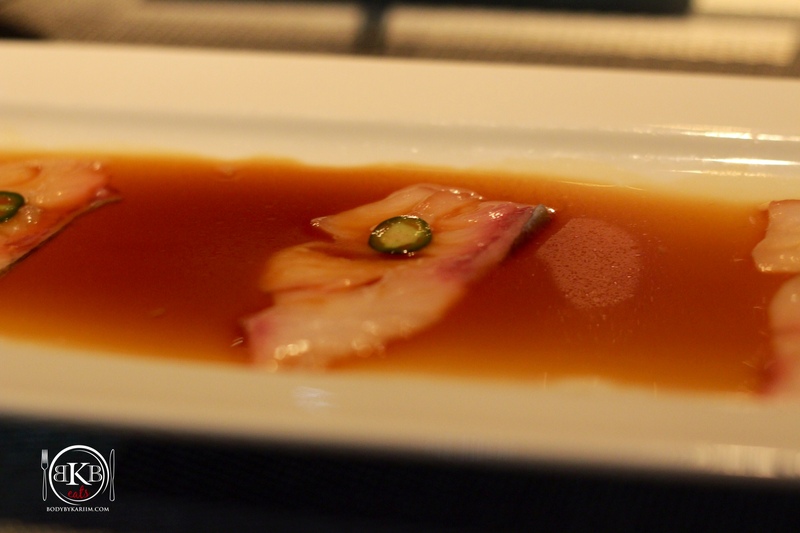 Kampachi Serrano. Six slices of kampahi sashimi (notice there’s a few missing…couldn’t wait, lol), garlic, thinly sliced serrano pepper, yuzu soy sauce. We love spicy, so this was perfect! Shima Aji Carpaccio with spicy Asian salsa. This was simply amazing!!! Perfect combination of spicy and tangy. 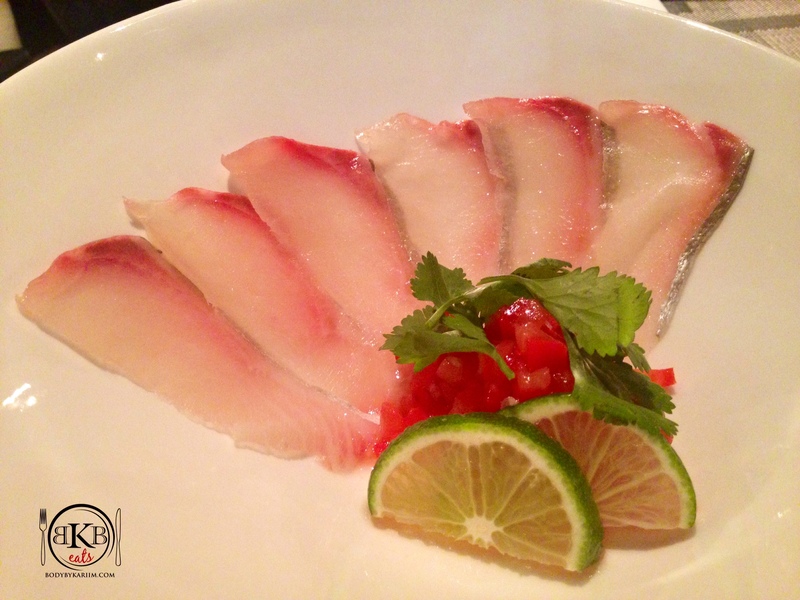 The flavor of the sashimi and the Asian salsa, is similar to having Ceviche. Had to order it twice. Kimme-Dai Sashimi …. Don’t let the messiness of the plate fool you. This is melt in your mouth, flavorful, delicious!! 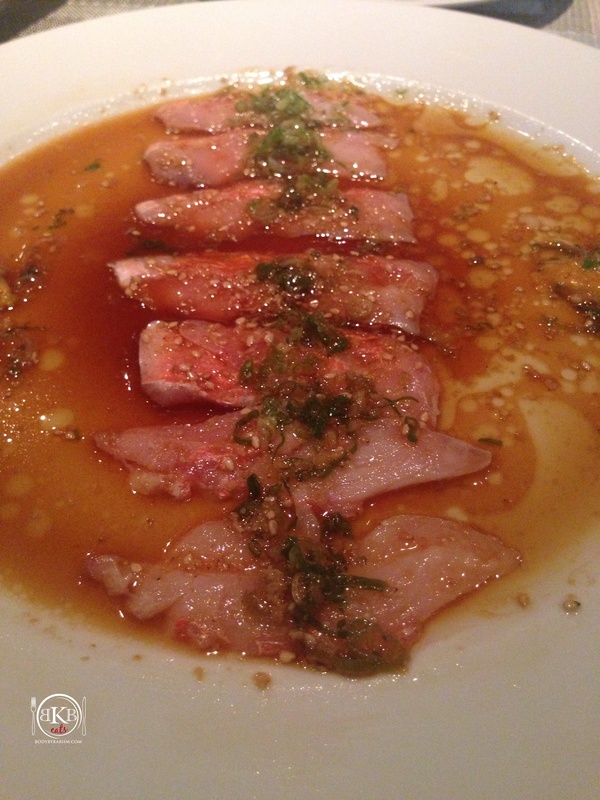 Drizzled in a garlic-ginger sauce with sesame oil and scallions……. If they have it on the menu- Try it! We ordered 2 servings it was sooooo good! Dassai 50. 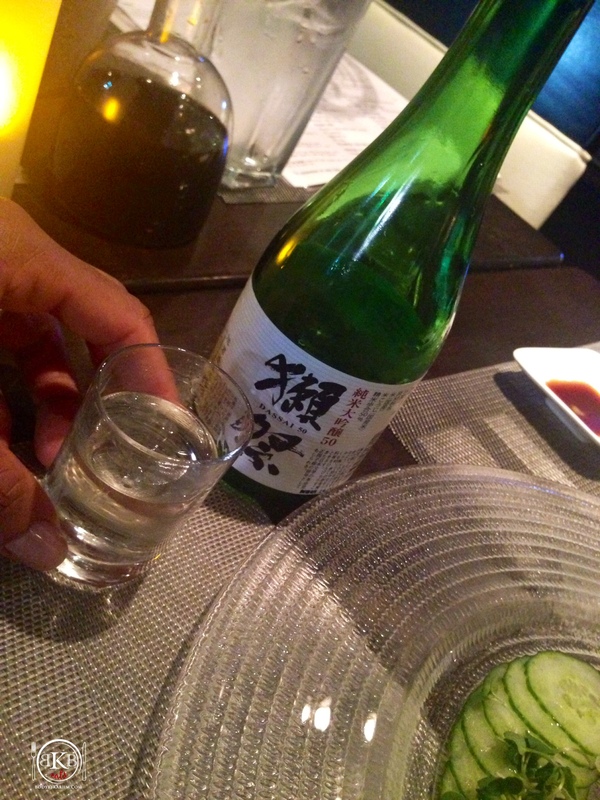 A smooth tasty Japanese Sake. Love it! Negitoro. Chopped toro, scallions, wasabi with shiso. Delicious!!! 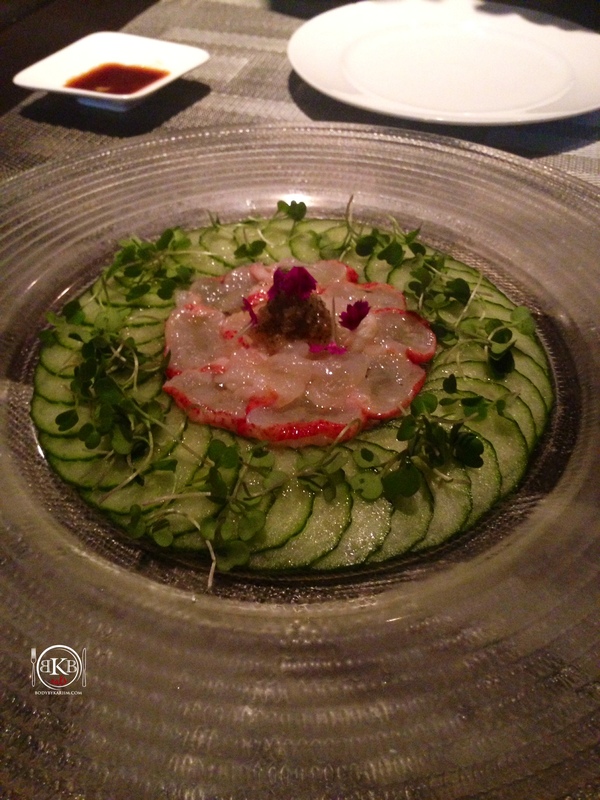 Lobster Carpaccio. Such a refreshing, lite- dish! Cucumbers, white truffle oil, pink sea salt, tomo salsa. Must try. House Special Rolls. 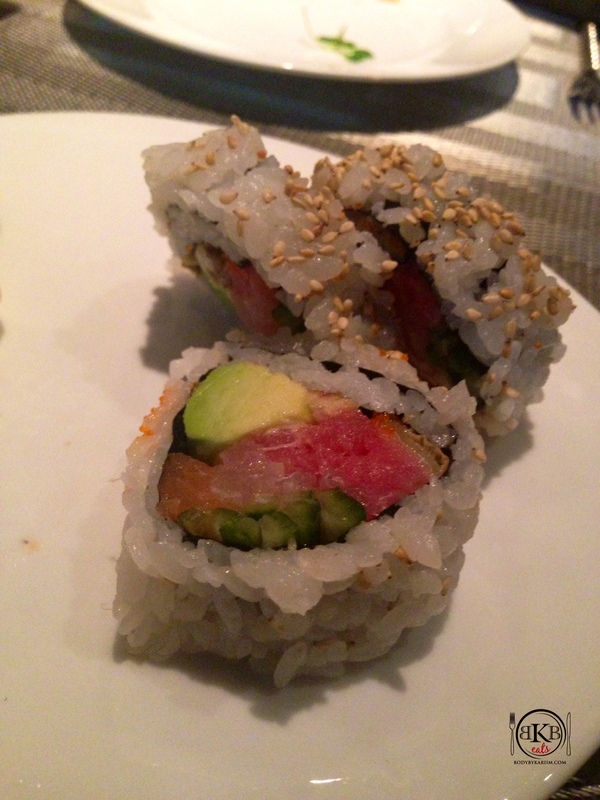 Tuna, yellowtail, salmon, white fish, smelt egg, eel, and avocado. Delicious! I so enjoy your reviews.